The Symposium will be held at the UMass Lowell Inn & Conference Center (ICC) in downtown Lowell, Massachusetts, just 25 miles northwest of Boston and easily accessible from both the Logan International Airport in Boston, MA and the Manchester Boston Regional Airport in Manchester, NH. For reservations and conference rate click here. Public transportation from Boston to Lowell – Metro Boston Transit Authority (MBTA) Within Boston, take the subway to North Station and then the Lowell commuter rail line to Lowell. Lowell is a city rich in history and culture. America’s Industrial Revolution is commemorated at the Lowell National Historical Park, where visitors can tour the canals, turbine exhibit, textile mills, and “mill girl” boarding houses that tell the story of the transition from farm to factory. Birthplace of Whistler and Kerouac, Lowell is also home to the largest free folk festival in the United States. 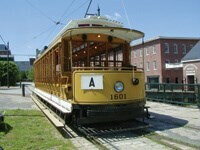 With sports events, historical parks, museums, and theaters, Lowell has something for everyone. 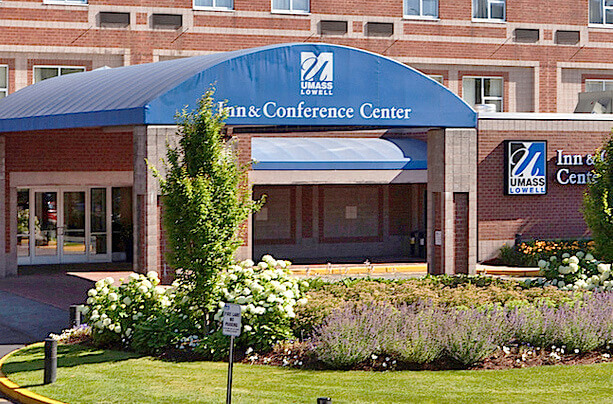 UMass Lowell Inn & Conference Center 42.643224, -71.307099 UMass Lowell Inn & Conference CenterThe Symposium will be held at the UMass Lowell Inn & Conference Center (ICC) in downtown Lowell, Massachusetts, just 25 miles northwest of Boston and easily accessible from both Logan and Manchester Airports.